There are events happening in the area to celebrate STEM all year… below are some we know about. Biomedical Research Investigations: Curious about what it’s like to be a laboratory scientist? The Sanford PROMISE’s Biomedical Research Investigations program offers middle and high school students an opportunity to engage in authentic scientific questions by performing a series of connected hands-on laboratory activities. Workshops available for Middle and High School students in Summer 2017. Visit the website for more information and workshop locations. PROMISE Science Discovery Day: Semi-annually Sanford Research opens its doors to area sophomores and juniors to learn first-hand what it takes to have a career in research through the Science Discovery Day program. Professionals from regional industry and academic partners involved in research present their career journeys and current research projects in a hands-on workshop setting to groups of area students. In addition to the workshops, students have a chance to visit representatives from area post-secondary schools offering programs in STEM. Visit the website for more on getting involved as a participant, exhibitor, or presenter. Sanford Research Shadowing and Internships: K-12 and undergraduate students with a desire to pursue careers in biomedical research are invited to meet with our research scientists and take part in our Shadowing, PROMISE Scholars, and Undergraduate Research programs. PROMISE Community Lecture Series: Science minded individuals in our community can learn about the science research being performed in their own backyard! The lectures are held 5:30-6:30 p.m. throughout the school year at the Sanford Center (2301 E 60th St N, Sioux Falls). For upcoming events visit the website. Videocast and recordings of the seminars is available upon request. PROMISE Educator Enrichment Workshops: Educator workshops are designed to empower teachers to develop and implement lessons in inquiry and the biomedical sciences. Hands-on activities are shared and participants have access to the tools/technology needed for implementing these lesson plans in the classroom. Visit the website for summer 2018 workshop information. Do you have a favorite Science, Computer Science or Math teacher and think they should be recognized? 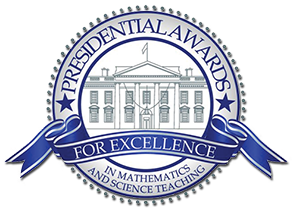 Nominate them for the Presidential Award for Excellence in Math and Science Teaching. Looking to help your community using Science and Engineering? 6th-9th grade students have an opportunity to compete in the Army Education Outreach Program‘s web-based STEM competition: eCYBERMISSION. For more information, contact Liz McMillan at Sanford Research.